NEW CONSTRUCTION IN ESTABLISHED NEIGHBORHOOD! THE "PERSIMMON" PLAN OPENS TO FOYER WITH LIVING/DINING ROOM OFF TO THE SIDE(W/ KITCHEN CUT THROUGH ACCESS), AND GREAT ROOM STRAIGHT AHEAD. SPACIOUS KITCHEN LAYOUT BOASTS CUSTOM 42" CABINETS PAIRED WITH YOUR CHOICE OF COUNTER TOPS AND ENERGY STAR APPLIANCE PACKAGE. BAR TOP SEPARATES FROM THE BREAKFAST NOOK AND GREAT ROOM, WITH OPTIONAL GAS FIREPLACE. BACK DOOR ACCESS TO PATIO/OPTIONAL COVERED PORCH. COMPLETING THE 1ST FLOOR YOU HAVE THE DEN/OPTIONAL 4TH BED. BATHROOM JUST OUTSIDE AND GARAGE ACCESS MAKE FOR AN EXCELLENT GUEST SUITE. SECOND FLOOR HOSTS REMAINING BEDS, INCLUDING MASTER SUITE WITH TRAY CEILING, LARGE WALK IN CLOSET & DELUXE EN-SUITE BATH WITH DOUBLE BOWL VANITY, SOAKING TUB & STAND ALONE SHOWER! HUGE LOFT UPGRADES TO 5TH BEDROOM. VISIT OUR NEW DESIGN GALLERY & WORK WITH DESIGN PROFESSIONAL TO MAKE THE SELECTIONS BEST FOR YOU! ASK ABOUT AVAILABLE BUILDER INCENTIVES & CCA WITH THE USE OF BUILDER'S PREFERRED LENDER! Ready to visit MM Persimmon? Request a free property tour! Send me more information about the listing at MM Persimmon, Suffolk, VA 23434, MLS# 10238884. 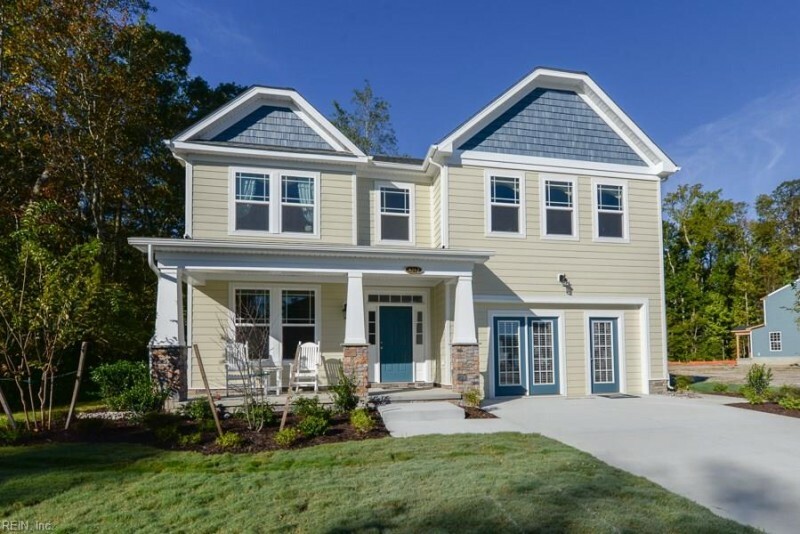 This 4 bedroom, 3 bathroom home located at MM Persimmon, Suffolk, VA 23434 has approximately 2,618 square feet. It is currently listed for $299,900 and has a price per sqft of $11,455. This home is currently Off Market under the MLS#: 10238884. This listing is provided by Today Homes Realty LLC. MM Persimmon , Suffolk was built in 2019. It has Garage Att 2 Car, 2 Space parking.The kitchen includes Dishwasher, Disposal, Dryer Hookup, Microwave, Elec Range, Washer Hookup. MM Persimmon is part of the Graystone Reserves neighborhood located in 23434.